Tattoos—they’re a big decision. And it doesn’t matter if you’ve got a mural inked on your back or if you’ve never been under the gun before, it’s important to choose only the best. 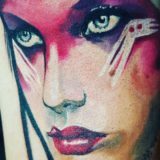 Canvas Tattoos has been servicing the tattoo loving public since 2015. 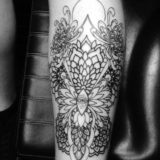 Staffed with the best artists and creating a comfortable and relaxed atmosphere, Canvas Tattoos’ is dedicated to giving you a beautiful piece of art, a personalized experience, and excellent customer service. Throwback to some awesome black and gray by @byrd_tattoos ! Call 980-299-2588 to schedule your free artist consultation!